AIL bases its philosophy on each child's total development. We provide an enriching atmosphere which enables the child to develop socially, emotionally, physically and cognitively. 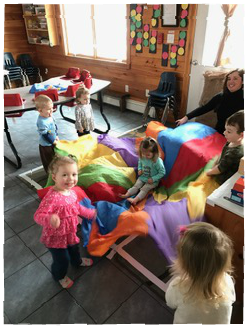 We offer a learning environment which provides developmentally appropriate experiences designed to stimulate these areas of growth. The children are involved in first hand experiences and opportunities for self exploration and discovery. They are encouraged to explore the world around them through free play and directed activities. Learning through play is the heart of our curriculum. Daily lesson plans are introduced through structured themes with the children's interests in mind. Through individual and group activities children learn about themselves, others and the world around them. Children develop and learn on an individual basis. 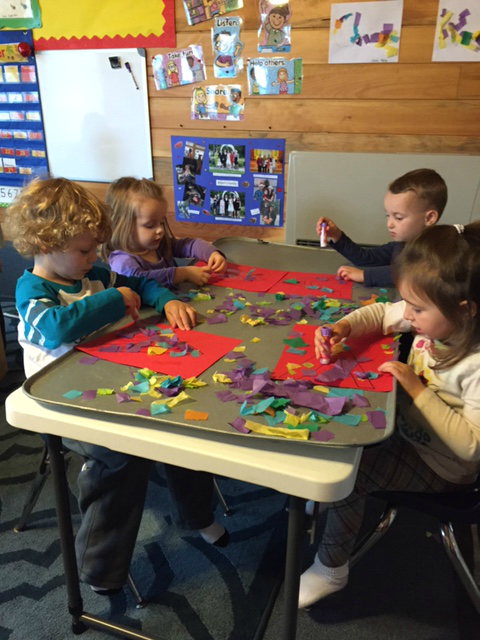 Working with children in small groups enables them to receive the personalized attention they need to excel. AIL staff has the opportunity to observe and meet the individual needs of each child and to share those observations with parents. AIL offers each child the individual care, attention, nurturing and love, which is necessary for healthy growth. At AIL we value the individuality of each child by recognizing differences and offering personal care and attention in a group setting. Involving families at AIL is a top priority. With parent involvement with our staff children understand and make the strong connection between home and center. We are an extension of the family, developing a partnership where sharing support, ideas and genuine love for children is of the utmost importance. At AIL we encourage parents to visit and participate in school activities. At AIL we have an open door policy; which means you are more than welcome to come and go as you please. Parents are free to drop off or pick up their child any time during the day. You are also welcome to come visit, eat lunch, and celebrate special events with your child's class. If you would like to review information in your child's file at any time please speak with the director. The curriculum provides for all areas of a child's development including physical, social, emotional and cognitive. Curriculum planning is based on teacher's observations and recordings of each child's special needs, interests and developmental abilities. Classroom environments are designed for the children to learn through active exploration and interaction with adults, peers and materials. Learning activities and materials are concrete, real and relevant to the lives of children. Each classroom teacher will provide a range of developmental activities of interest which encourage children of all abilities as they develop understanding and appropriate skills. Multicultural and nonsexist experiences, materials, activities and equipment are provided for children of all ages. Content copyright . ADVENTURESINLEARNING.ME. All rights reserved.